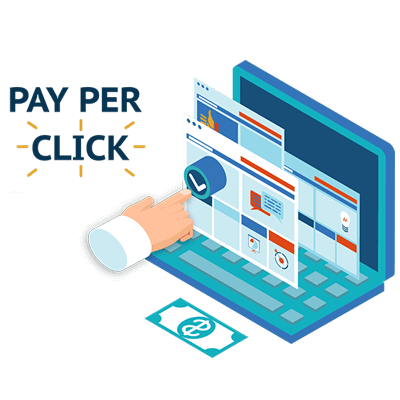 PPC [Paid per Click Ads] refers to all the campaigns in which we buy traffic directly through platforms that allow us to advertise within them. Google AdWords (with all its sub-platforms, such as Search, Display or Shopping). Among other. However, the truth is that the world of PPC is infinitely wider. There are alternative media networks, in-app advertising, in-games and much more. You can also design PPC campaigns that include different media; like networks of blogs, pages of magazines or newspapers and less known digital media. Our campaign strategies are designed exclusively to meet the needs of our customers and the market. We offer: Pay per click in Search Engines; Adwords, Bing, Yahoo JP and others apart from advertising on the Display network as Remarketing, Video and GDN. Want a quick and flexible sales tool with clearly measurable results? Start contextual advertising in search engines! This is one of the most important channels for increasing sales, it is an opportunity to bring products and services to the market, attract attention to the company, brands or individual events. Contextual advertising is intended for tasks that require quick decisions: buy goods, notify about sales, events, promotions, the appearance of new products and special offers, draw attention to the brand. It well complements other ways of promotion (for example, SEO-promotion) as part of a large-scale marketing strategy. At the same time, for some businesses, the context can be a self-sufficient tool. Reach your potential customers when they are looking for what you offer. Our services of creation and management of advertising campaigns in search engines, will allow you to promote your website quickly and easily. You can address your potential customers at the time they are looking for the products or services that you market, take qualified visits to your site and increase sales. You can show your products or services on the first page of the search engine by posting notices. There has never been such a direct and economical way to communicate your message to people who are looking for your products or services! Get a positive ROI through our PPC Company in India. The important thing is to make an intelligent investment and use advertising in a profitable way. Our experience in managing pay-per-click campaigns allows us to apply the best strategies to face successful campaigns. We know how to manage all aspects of your campaigns, including budget management, keywords and notices. In all cases we make sure that the keywords used are the most useful and effective in order to increase the traffic to the website. We have the necessary tools to manage offers daily, and effectively decrease the cost per click and the general budget. Our clients receive a report on the performance of the campaigns at the end of each period.